Andrea, also a member of the Cape Winemakers Guild, moved from the US to South Africa in 2004 from the famous Napa Valley. Born and bred in San Francisco, Andrea had studied Viticulture and Oenology at UC Davis and gained all of her experience at Cakebread, Viader and El Molino wineries. She began her South African journey with six months at Waterford Estate. It was during a trip to Chateauneuf that she met her husband, Chris, at a wine festival in Champagne. Her passion for South Africa, Chris and being in the cellar brought her back to the country and Mullineux Family wines was born in the Swartland. Andrea focuses specifically on dry farmed Mediterranean varieties and insists on it being produced as naturally and classically as possible. She is passionate about harvest and aims to one day win the Pichon Longeville Comtesse Laland trophy. Rianie, a member of the esteemed Cape Winemakers Guild, has travelled extensively through Europe, America and Australia to soak in as many foreign processes as she could. A graduate from the University of Stellenbosch, she began her career working in Burgundy in 1996, followed by moving to St Emilion, Bordeaux, in 1998. 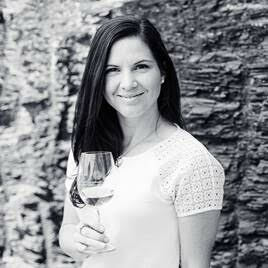 After ten years as the winemaker at Morgenhof Estate, Rianie took up the mantle of General Manager and winemaker at Haskell and Dombeya Wines in 2004. Rianie combines her love for science and nature in her winemaking and pours her passion into making distinctive, elegant wines that are totally unforgettable but yet still affordable. She has judged various wine shows and is passionate about improving South African wine. 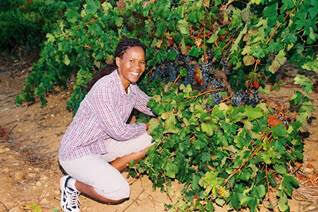 Ntsiki, the first black female winemaker in South Africa, entered the wine industry by chance. Before earning her scholarship at the University of Stellenbosch and making the move to Cape Town to study Oenology, she had never tasted wine. Nevertheless, she excelled and settled at Stellekaya in 2004 as the resident winemaker. After her first production, she took a bottle back home to show her grandmother who wasn’t too impressed by the taste of it, but was incredibly proud of her granddaughter who was clearly making major leaps and bounds in the industry. Stellekaya, a small boutique winery, has received various international awards thanks to Ntsiki’s genius. 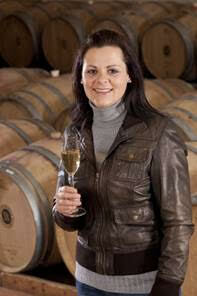 She has won the Landbouweekblad Woman Winemaker of the Year and currently judges various wine competitions. She has just come back from the US where she was a part of an African Women Entrepreneurship Programme. Her next step is establishing herself as an independent winemaker. Marelise started her illustrious career in 2007 at Beaumont Wines in Bot River as the estate’s assistant winemaker. During these years, she spent a lot of time travelling and completing internships abroad in Burgundy (France), Priorat (Spain), Duro (Portugal) and Rhône (France). In 2011, she started her own label called Momento. Marelise searches for the perfect fruit and method combination, uses a gentle hands-off approach to the making of her wine and injects as much passion as she can muster into the creation of her passion. She is passionate about the uniqueness of the South African soils and vines, and trying out new and different methods of winemaking, such as open concrete tanks, whole bunches and natural yeasts. Entrenched in a childhood belief of doing whatever you do to the best of your ability, Erica has led Graham Beck into award-winning status on more than occasion. Her first harvest in fact, which she claims to be her pride and joy, produced the Pheasants Run Sauvignon Blanc in 2005. This wine remains to be the only one featured in the Wine Magazines Sauvignon Blanc Top 10 Awards since 2007. Her Ad Honorem earned a five-star Platter rating as well as landed her the title of the Landbouweekblad South African Woman Winemaker of the Year in 2008. She began her career in 1999 at Kleine Zalze, where she worked for five years with trips to France, America and Australia. She joined Graham Beck in 2005, a few days before harvest and took over the terroir insisting on getting to know it like the back of her hand. She describes her style as elegant, earthy yet touched with finesse. She makes use of the old world elegance of wine making and delicately pairs it with new world fruit, styles and sunshine.